Congratulations to Melissa on winning our 109th High Five Giveaway and thank you to all who entered! 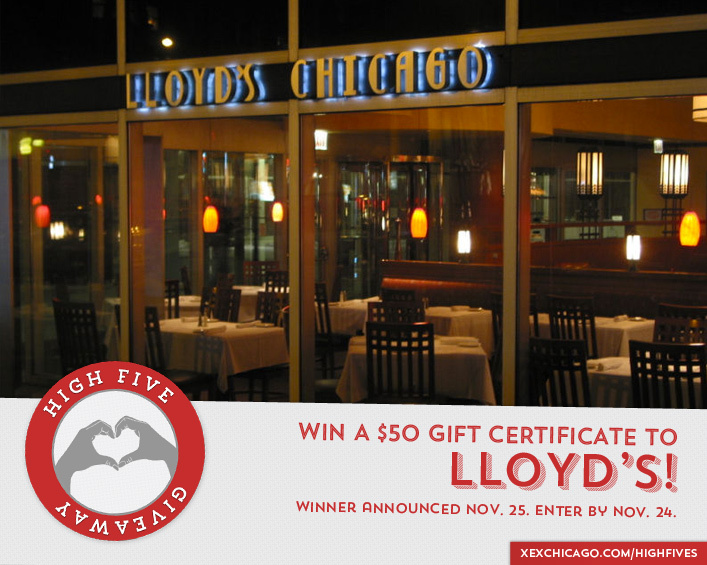 Our next High Five Giveaway is for a $50 gift certificate to Lloyd’s. What type of hair treatments are helpful if you are trying to grow your hair out? Now, just add a comment to this post with the right answer to be eligible to win! The winner will be announced on Tuesday, November 25. Entries must be received by midnight on Monday, November 24. Good luck! Deep conditioning treatments, and keep yourself hydrated! Get regular trims, massage scalp, be gentle and try not to wash your hair every day and use a deep conditioning treatment once a week.